Addictions touch many people’s lives. We all know someone who is affected by addiction of some kind. On the 2nd Friday of each month all are invited to gather in the Adoration Chapel at 9:15 am (after morning Mass) for Rosary. Come to pray for a loved one, yourself, or even a stranger who is living in the grasp of an addiction. Come together to support those in recovery and to pray for those struggling with addictions. When we come together, great things can happen. 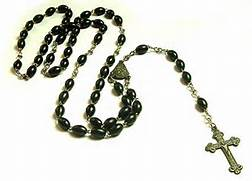 When we come together to pray the Rosary, even greater things can happen. The Rosary has the power to impact the lives of our loved ones, our communities and our nation. Prayer can change everything! Please join us.